Saturday was such a great day. Minus the whole annoying knee thing. Traditionally, Blogland human interactions are limited to mediums such as emails, comments, IMs or phone calls if you're lucky. If you're REALLY lucky, you actually get to meet "blogging friends" in person and if you're REALLY REALLY lucky - you even hit it off! Well that's actually how I met my friend Melissa. I met her through HH and one day we decided to meet up and fast forward - 4 months later, I now live in her town and consider her as one of my "blogging friends". 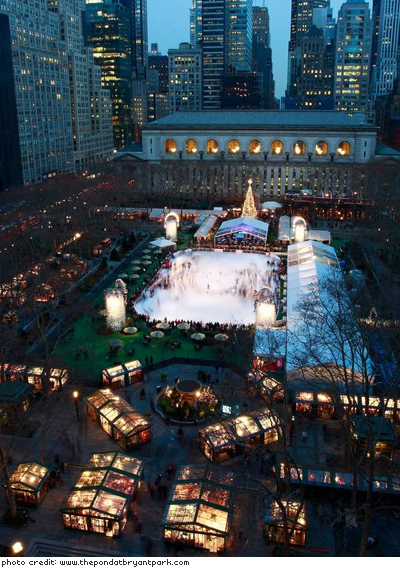 Melissa and I headed into the city on Saturday to check out the Bryant Park Holiday Market. Susy, who I met through Melis, is a member of Mixed Co.. They've set up such an A-MAaa-zing shop - truly stands out from the rest. If I wasn't watching my spending, I would've totally went nuts in there. Laurel Denise was manning the shop - who by the way is such a sweet and endearing gal AND makes the most adorable necklaces and journals. Not to sound all cosmic-stalker-creepy, but you know when you meet a stranger and they exude a natural-effortless niceness about them? No? Go ahead call me nutty, but she totally had it. SIDE NOTE: Can you believe that I almost missed this entire day thanks to an adverse reaction to a Chipotle burrito I ate for lunch on Friday - thank goodness I manned up and forced myself to go into the city, despite the potentially gross gross gross complications that could've occurred (but luckily didn't....phew)!! Ooh... i wish i knew about this! I would have dropped by! Sounds like you had a wonderful day. I have to say i've had an adverse to a chipotle burrito myself. I swore it off for a year. I feel your pain:) Mine almost made me miss my brothers engagement party. I'm so glad you made it. I just found you here! What a great day we had. Let's do it again in the new year - I've already bullied Susy into coming with us. xoxo, P.
hi P!!! craft/blog bar crawl sounds fun!! !